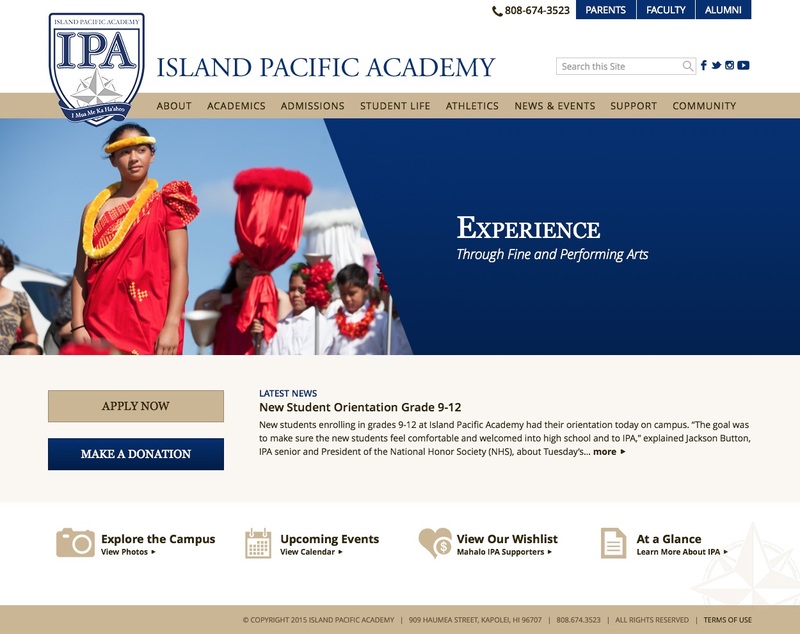 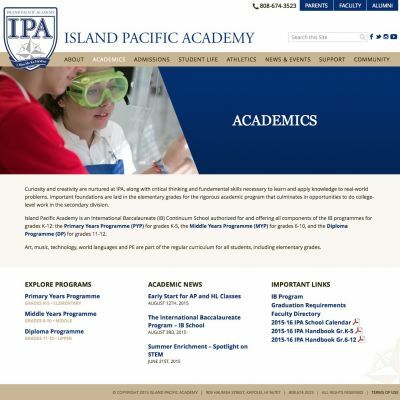 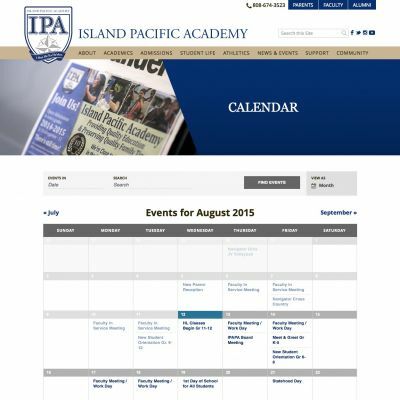 Island Pacific Academy had a very clear vision of what they were after for their site. 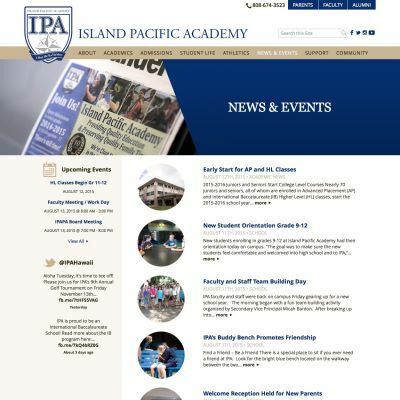 They have a lot of content, with more features and functionality on the way in future phases, so it was important to present it in a clear way. 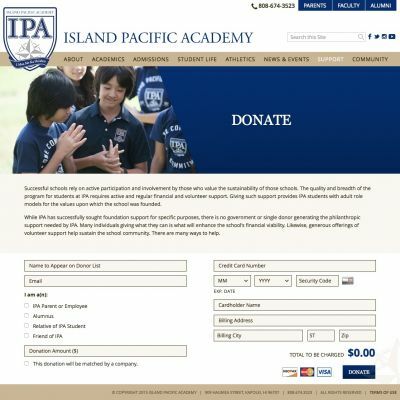 Donations are easily handled with a customized Gravity Form.